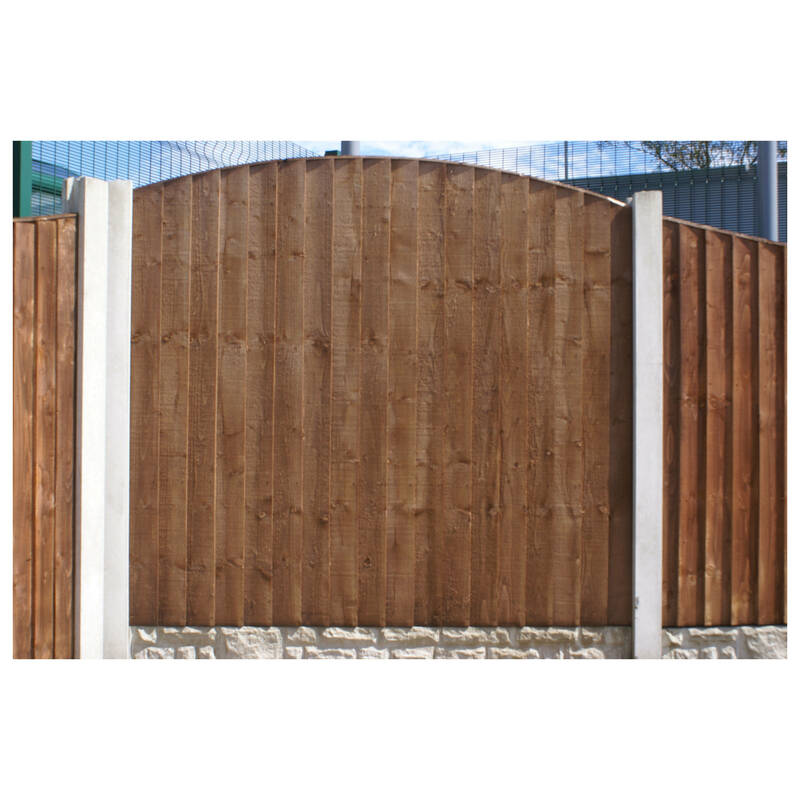 Round top vertical weatherboard (VWB) "BETA" fence panels are an economy VWB panel offering an alternative cheap fence panel. Round top vertical weather board "BETA" panels are made up from 18 ex22 x 125 feather edge boards nailed to 50 x 38 rails to the rear of the fence panel, with a flot top capping. The height of the panel is measured to the shoulder, with a 6" arch. Therefore a 6' x 5' (to shoulder) would be 6' x 5'6" in the centre. Our round top VWB "BETA" panels are manufactured at our Manchester and St Helens depot and are pressure treated. If you require further information on our Economy Round Top Vertical Weatherboard BETA Panel give sales a call on 01942 720777 or email us on sales@nwtt.co.uk.